If you drive an Audi, you know it’s sometimes difficult to find a reliable auto mechanic or auto repair shop that will work on your car. At JW Auto Care, which serves the greater Scottsdale and Tempe areas, our auto mechanics are certified and up to date on the latest techniques and technology when it comes to Audi automobiles. We’ll give your Audi a free multi-point visual inspection, take photos of any damage or repairs that need to be done, and give you a written estimate so that you can decide on your course of action. You’ll get peace of mind knowing that all parts used to repair or service your vehicle are of the highest quality available. We also offer a nationwide 36-month/36,000-mile parts and labor warranty on most repairs. We want you to drive away knowing you got the best auto repair service for your car. “JW Auto Care are genuinely the very best in all of Scottsdale. Top notch customer service. Top notch car service. Honest business with great integrity. I would recommend anyone to their company including all of my friends and family.” -- Justin S.
Whatever model Audi you drive, be certain that the auto mechanics at JW Auto Care in Scottsdale have your safety and comfort in mind. 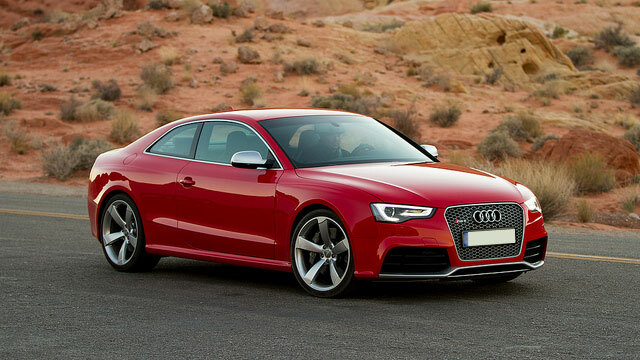 We will do our best to get you back on the road with your Audi in smooth running condition as quickly as possible. For auto repairs and maintenance, call us or schedule an appointment online. JW Auto Care is located at 3011 N. 73rd St., Scottsdale, AZ 85251.